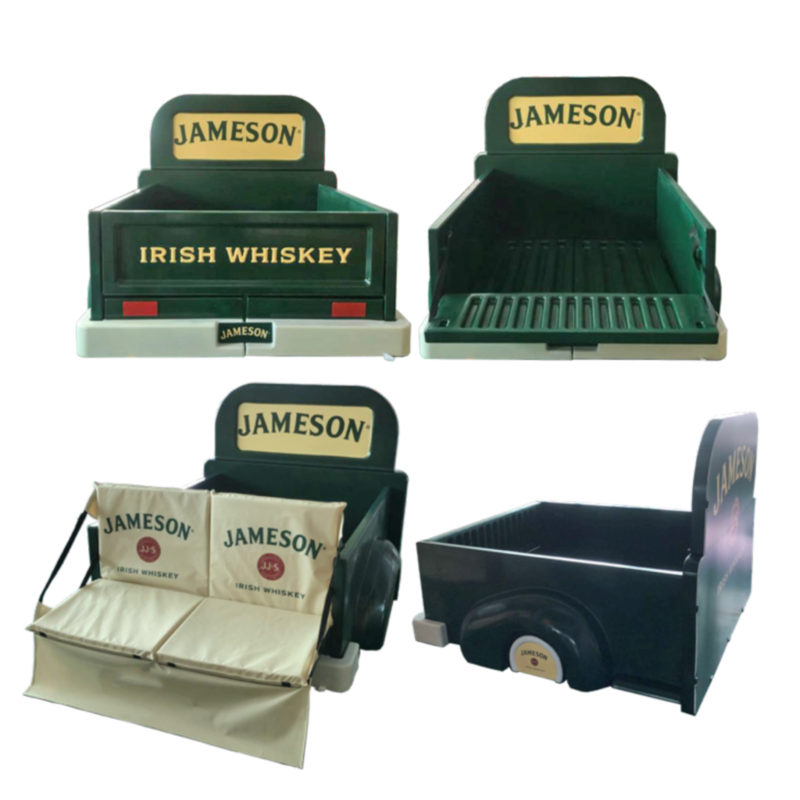 In the Winter of 2018 Pernod Ricard contacted us with a challenge to design and produce a Mass Display for the Texas Market. The request was to create an impressive display that fully demonstrated the theme of Fall tailgating. We finalized our design as a 1950 Chevy truck bed with a functioning tailgate and custom tailgating seat. We worked hand in hand with our factories exploring a multitude of materials, ultimately settling on vacuum formed plastic. The level of detail in this medium is extraordinary. Once our sample was complete, we visited NY to set-up the display in the Pernod Ricard corporate office. Our sample was well received by all and approved for the 2018-2019 football season.